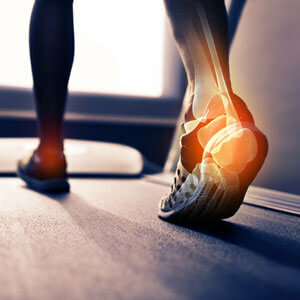 If the answer is yes, you will benefit from orthotics, which are available at 360° Wellness. Orthotics are specialized insoles that are manufactured from a three-dimensional model of the foot. A custom orthotic can accommodate bony deformities, muscle imbalances and modify movement patterns of the foot and lower limb. They help relieve pain in your feet, ankles, legs, knees and lower back. Designed to fit comfortably inside your shoes and boots, they are specific to your individual needs. Your feet rest on top of the orthotics, which gently direct your feet into the correct position for standing, walking and running. By maintaining a correct foot position, your orthotics will relieve fatigue and pain. Custom-made insoles primarily serve to correct the altered relationship between the leg, the hindfoot and the forefoot. Initially, you are examined to determine your particular foot posture. Then, the computerized Metascan system is used to provide a dynamic means of analyzing the way you stand, walk or run. This diagnostic tool helps assist your clinician in determining your foot function. Technicians then make your orthotics, fitted for comfort to your feet. How long are orthotics worn? Orthotics will correct your abnormal foot posture as long as you continue to wear them. Your feet are the foundation of your body, so it’s important that you look after them. Contact us today to schedule your appointment for orthotics!